Money is tight and there never seems to be enough business, so how can anyone be thinking about hiring someone to take care of firm marketing? That's a legitimate complaint for many firms that are too small to make the initial capital outlay of hiring a dedicated marketing director. But a qualified marketing director or Chief Marketing Officer can potentially be one of the most important members of your team. Here are a few quick things to keep in mind before you get too eager to hire. Time: People in the professional labor market frequently complain when searching for jobs because employers have unrealistic expectations about the number of years of work experience. Well, employers are right to want candidates with a lot of work experience. Generally, the larger your firm, the more work experience you're going to want. For large firms, a minimum of ten years is recommended. For smaller firms, you'll want at least five years' worth of experience. Education: This isn't a requirement, but it seems to be rather customary for marketing people to have a formal education in their profession -- either at the undergraduate or graduate level. Generally, smaller firms can get away with someone who only has an undergrad degree in marketing or only a few years' experience handling the marketing needs of similar firms. Generating Business: One of the principal jobs of a marketing officer is to generate business. He or she may also have the dual responsibility of delegating the proper client to the proper attorney, but all of that is secondary to actually creating leads and generating paying clients. If the CMO can't do that himself, he should teach the lawyers in the firm how to create shared-documents of lists of clients for each attorney. Additionally, the CMO should also at least be apprised of the SEO updates so that the firm's legal-blog (Blawg) isn't just shooting blind. 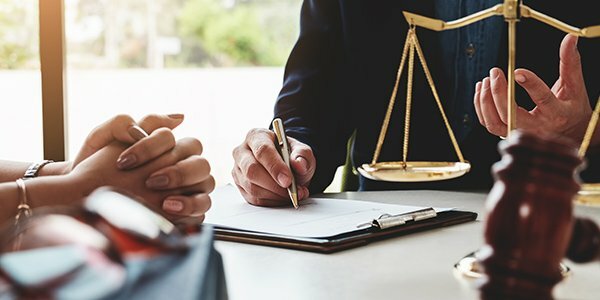 Brand Experience: A law firm is a brand. It is not simply a hodgepodge of attorneys who happen to associate themselves with each other. Otherwise, there's no reason any law firm should even exist. A CMO must prove to you that he has experience in cultivating and nurturing a brand. This is rather dynamic today because the legal-business landscape is changing and law firms are now as much an online business as they are a person to person business. Does Your Legal Marketing Need to Be ... Adorkable?